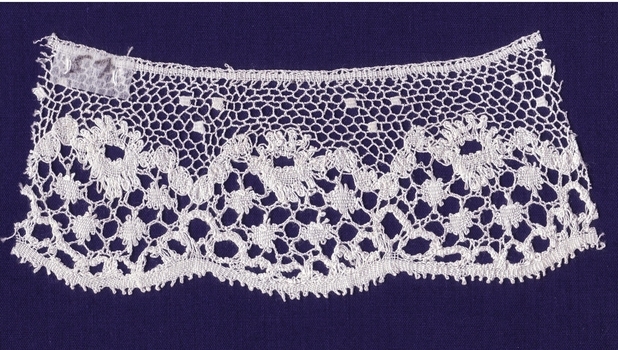 The Australian Lace Guild was formed in 1979 to meet the needs of all those interested in lace. 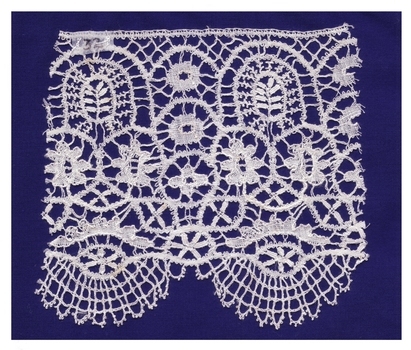 3) to establish and maintain standards of excellence in the craft of lacemaking in all forms; for personal and public education. 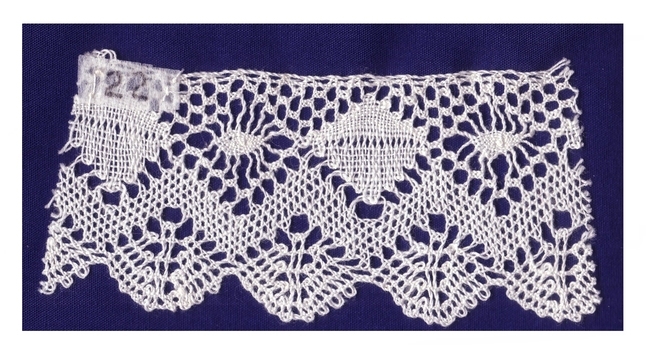 Our members include tool makers, collectors and historians as well as those actively engaging in making lace. 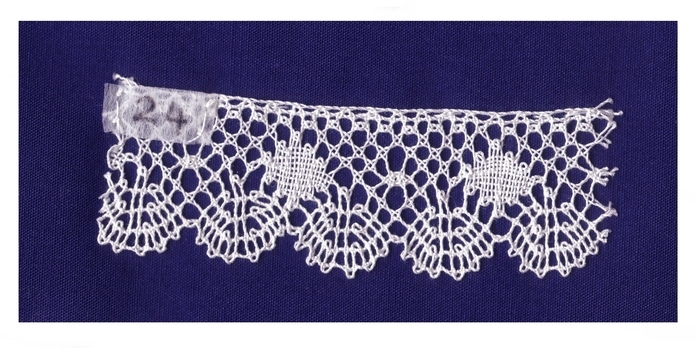 The Victorian Branch of the Australian Lace Guild has its own committee and actively seeks to promote lace and lacemaking throughout Victoria and holds Lace days on the 4th Saturday of the month at Gardenvale, Victoria. 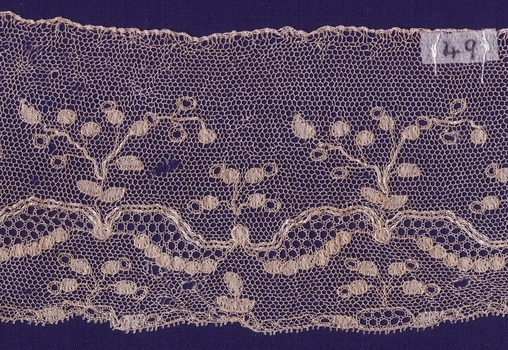 We hold a small collection of lace primarily for study purposes. Pieces range from some that were made in the early 17th Century to present day pieces. We do not have a permanent display that is open to the public. 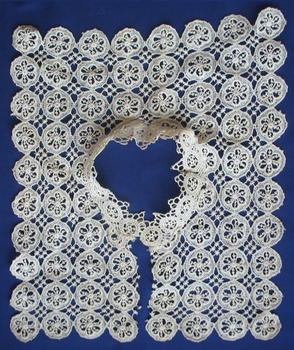 Australian Lace Guild - The Australian Lace Guild was formed in 1979 in New south Wales to meet the needs of all those interested in lace. The Guild was incorporated in Victoria on 14th August 1985. The National Administrative Committee is currently in Tasmania. Our collection is not on display and open to the public. Private viewing would be by appointment only. 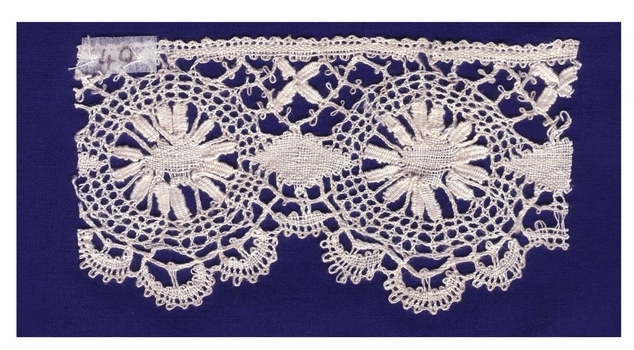 A collection of antique and modern lace items and samples, lacemaking tools and patterns. It is wonderful, what a great way for us all to see. Congratulations to those who have taken their time to do all the work. 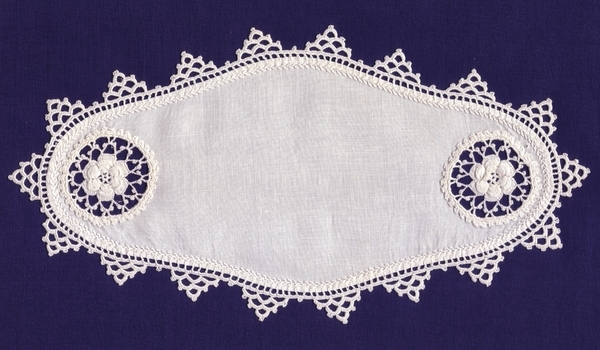 This fine linen pillow slip was made in Austria about 1880. 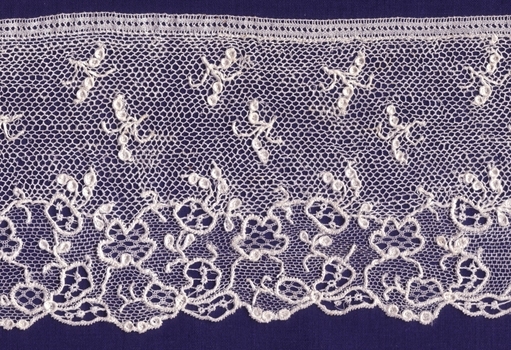 The insertion of French Valenciennes lace is of about the same date, being 5.0 cms wide and having a round ground. 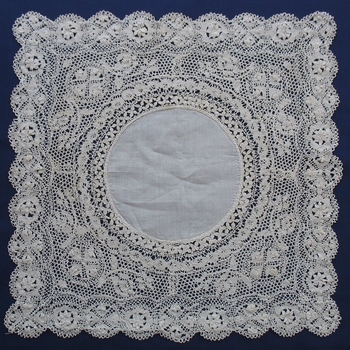 The border frill is also of French Valenciennes lace being a little earlier around 1850, it is 16 cms wide and has a square ground. 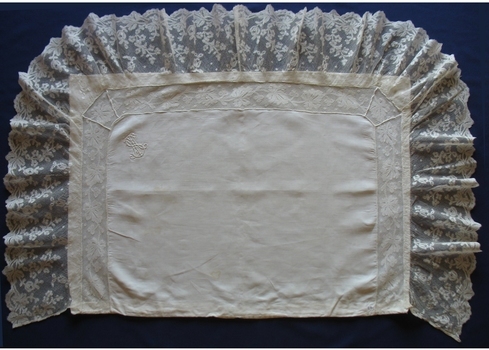 The pillow slip was made especially for the mother of a first grandchild. 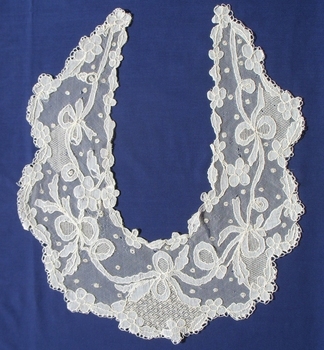 Use: Fine lace used as costume trimming. 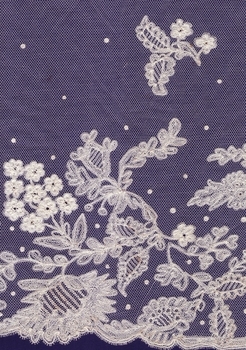 Scarf / Tie of bobbin lace motifs appliqued onto machine made net. 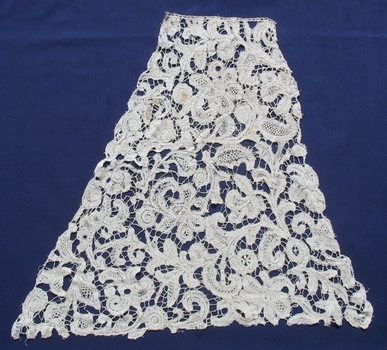 This piece of lace has at some time been cut up and re-grounded. 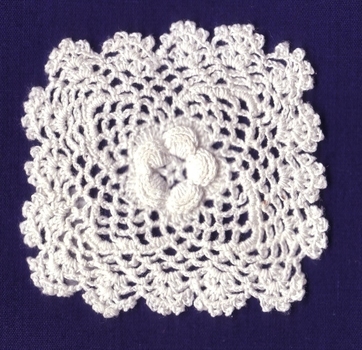 It would originally have been used as a fashion item such as a flounce. 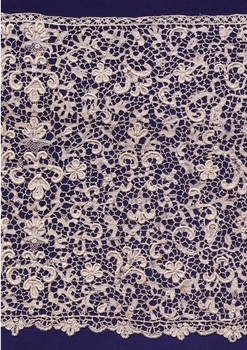 Heavy, intricate, good quality lace. 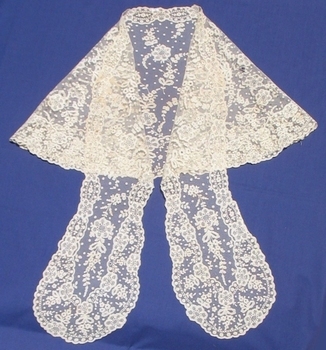 Use - either fashionable costume or ecclesiastical. 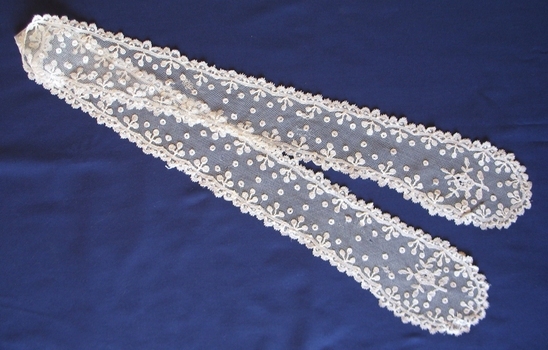 Machine made "Chemical" lace edging. 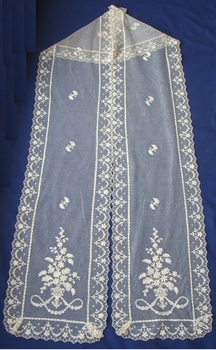 Cotton thread embroidered onto a base fabric which is later dissolved away. Use: Domestic. Household trimming Bedfordshire type heading.